On the evening of Saturday 30 March, the friends of Mayne were treated to an authentic Spanish meal prepared by Senor Gareth Hayden under the supervision of Senora Loida McFarland and her daughter, Maria. Following Tapas for “starters” guests enjoyed delicious chicken and sea food paella before being treated to a creamy chocolate dessert of the sort often served at birthday parties in Spain. 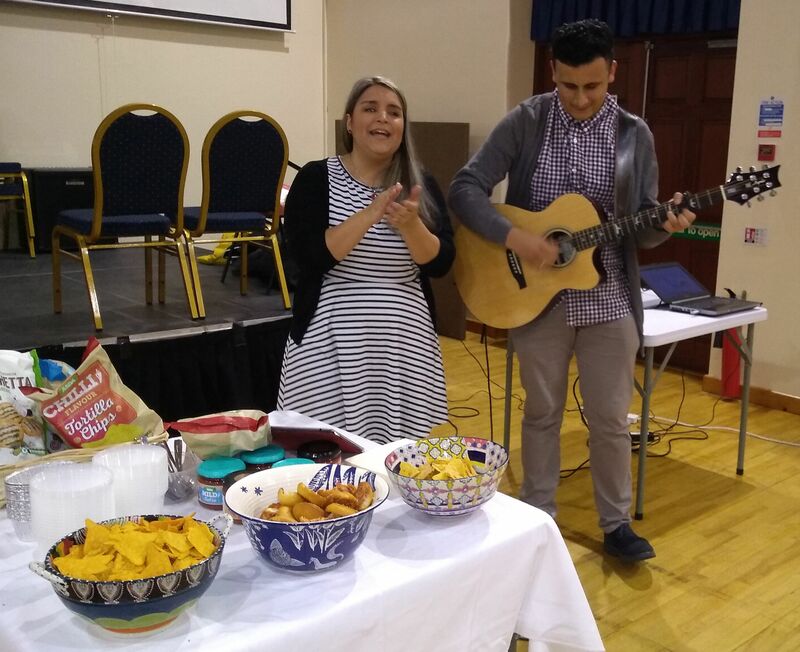 Young Spanish friends of Loida and Maria entertained diners with regional music and song, accompanied by flamenco guitar. 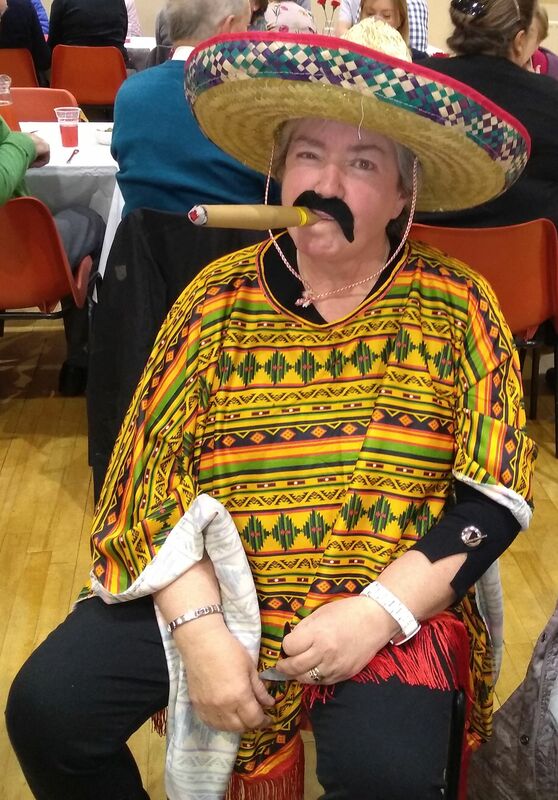 The highlight of the evening came when Senora Reverend Eleanor led some eager volunteers in a Spanish dance performed on stage to loud applause. 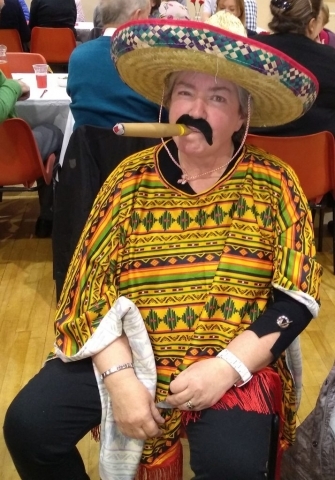 Alarm was caused by the appearance of a cigar smoking Mexican bandit which led to the arrest of Ethel McClelland for the new-fangled crime of “cultural appropriation”. The event turned out to be a very successful fundraiser for Mayne Methodist Church, arranged by Loida because of the special affection her husband George had for the church at Mayne. Beyond that it was also Loida’s way of saying “Thank You” to the Omagh and Fintona Circuit for their support for her very successful charity jumble sale in 2018.